For every East Village business that’s opening or closing, dozens are quietly making it. Here’s one of them: Raul’s Candy Store. 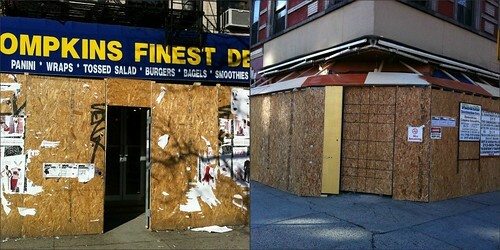 Some major changes are coming to Loisaida: Avenue D is getting luxury rentals as well as a pizzeria from Kim’s Video. 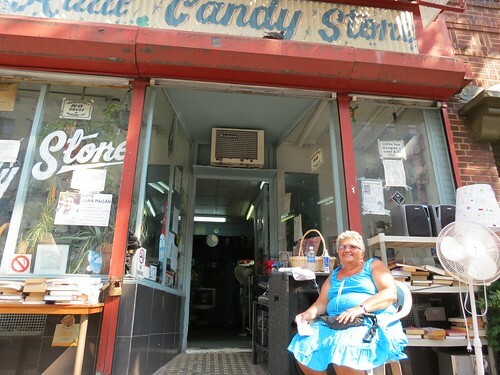 But around the corner from where La Isla recently shuttered, Raul’s Candy Store holds down fort. The bodega is no stranger to changes: it opened in 1976 at 190 Avenue D, then moved to 208 Avenue B about five years later. Now it’s a few doors down at 205 Avenue B – a sign in the window reading “Absolutely No Drugs or Hanging Out” harkens back to an earlier era. The Local spoke, in Spanish, to Petra Olivieri, wife of owner Raul Santiago (they’re celebrating their 45th anniversary this year). When did you move to this location? When web designer Matt Norris wants a coffee at Everyman Espresso, he doesn’t reach to his pocket for cash or a credit card. With a quick few swipes on his iPhone and a look at the barista he has paid and his drink is on its way to being made. For the barista’s part, he just looks Mr. Norris in the face, confirms his identity and the transaction is complete. Everyman, on East 13th Street, is an early adopter of Square, a mobile-based payment system developed by Twitter founder Jack Dorsey. The company’s name derives from the little square card reader that connects to a merchant’s (or anyone’s, for that matter) iPhone or iPad, turning it into a payment device, an approach a number of other companies are also taking. In May, Square launched its new product, the card case, which stores regular customers’ details and allows for flesh payments like that made by Mr. Norris for his coffee. Following in the footsteps of a reporter from Fast Company, I tried out Square at Everyman, opting for the more conventional method of swiping my card. It works pretty much as you might expect: run the card through the white plastic reader, which connects to the iPad’s headphone jack, and sign using the touch screen and a finger. That last part was a little awkward – the result was a childlike scrawl that only loosely approximated my signature, but it was apparently sufficient for my bank.